Francis Smith III of Norridgewock had a shotgun and handgun when he went to the paper mill on March 14 and kept the manager hostage. 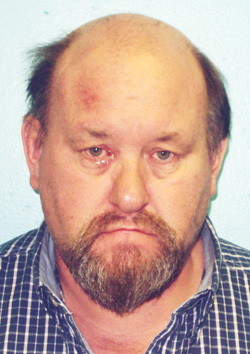 FARMINGTON — A man who held a paper mill manager hostage during a nine-hour armed standoff in Jay is going to prison for five years. Francis Smith III of Norridgewock pleaded guilty Friday to kidnapping, criminal threatening with a dangerous weapon, terrorizing, and assault. The Sun Journal says he was ordered to serve five years of a 12-year sentence. Smith was reportedly angry at losing his job and upset over the treatment of workers at the Verso Paper Androscoggin Mill in Jay. Prosecutors say he had a shotgun and a handgun when he went to the paper mill on March 14 and kept the manager hostage. He eventually surrendered.